Do you do whatever you can to get a prospect’s attention? Many marketers actually miss the mark when it comes to connecting their customers and content. Today, we’re talking to Heidi Cohen, chief content officer of Actionable Marketing Guide. She describes how you can build momentum to keep your content visible, consumable, and actionable. Also, Heidi shares a method to follow for your content’s amplification and distribution process. Write a review on iTunes and send a screenshot of it to receive a CoSchedule care package! You’re listening to the Actionable Marketing Podcast powered by CoSchedule, the leading marketing project management platform and only mission control center for the modern marketing team. My boys are very competitive. They start competing for my attention. They’re yelling over the top of each other, one of them jumps on my back, the other one is pulling on my leg because they want to share something they learned at school, or something cool one of their friends said, or a video game they’re playing, whatever it is. It makes me chuckle because I think of us as marketers. We scratch and claw and do whatever we can to try and get the attention of our prospects and customers because it’s such a noisy industry and market out there. 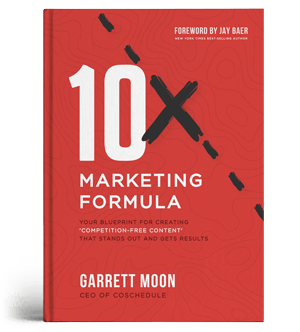 Everyone’s pushing content and so we pour our heart and soul into creating 10x content. Where I see so many times that we really miss the mark is in the amplification and distribution of our content. We’ll do a short little social campaign and then it kind of disappears into ether. That’s why I brought on my next guest for the show. Her name is Heidi Cohen. I know you know who she is. She is the chief content officer at Actionable Marketing Guide, and yes, we both have an affinity for being actionable. She’s also an adjunct professor at NYU, she does consulting, and of course, she’s trekked across the Andes. There’s nothing she hasn’t done. She’s just one of those kind of guests that’s so fantastic. She is on fire in this episode. I think I maybe get in three words the entire time which is always a good thing, because she has so much to share on how you can really build momentum to keep your best content visible, consumable, and actionable for the long run. She walks through the TIP method on how you can really get that share of audience attention. And then she also has three really cool steps to break down the application distribution process you can ignite, fuel, and spread. She breaks it all down in this episode. It’s fantastic. I hope you’re excited to listen to Heidi and all she has to share. Get your pen and pencil ready or your notes ready on your Mac, it’s going to be a good one. Alright, buckle up. Let’s get AMPed. Nathan: Hey Heidi, thanks so much for being on the podcast today. Heidi: Thank you, Nathan, I love CoSchedule. We’re thrilled to be here. Nathan: Yeah, well, we love you. Thanks for taking the time. Heidi, maybe just to kick it off, I’d love to hear a little bit about you and what you’ve been up to lately. Heidi: Okay. As paid content, I’ve been doing content since I was 18 years old. I worked for a local newspaper in Queens that’s still going. I actually understand that the core of content is making sure that you get people news that they really want to see. Their key there was pitches because people are always looking to find out where their name is in print. Last conventional job I work for the Economist, another publication, much broader circulation, but I understood that there’s a very big difference in how you present your content to what I’m doing today. In addition to running the Actionable Marketing Guide at heidicohen.com, I work with clients, helping them with their content strategy as well as actually creating content for them. Nathan: Nice. I know Heidi you’ve just got tons of experience with content and one of the things that I wanted to pick your brain on today was content promotion. You’ve got a method that you kind of come up with, could you just give me a really high overview of the few steps in this method? Heidi: Sure. Here’s what I would do, I’ll make the distinction between distribution and promotion because I get a little concerned about the word promotion. When I consider distribution, to me that’s a significant part of content marketing overall because you can have the best content in the world but unless it gets distributed and it stays visible across and it’s not just your own media, it’s social media, it’s search, it’s influencers, it’s a variety of third parties. If it’s not visible, it’s why you didn’t even need to put the work in there. I think that that is the key part. I look at distribution from a three-prong method. You’re going to do the first phase is what I call ignite distribution. It’s kind of like you’re match striking everything to go and that lasts for your first three days. That is really key because that’s the trajectory for your content over time. The second phase is what I call the fuel content distribution, which is kind of like putting gas in your car that keeps you going for a period of time. Which is why I look at the fuel phase as going for about a month. The last one is spread. Think about it as some wonderful jam, I think of Nutella, and you want to keep that going. Which is what you want to do with your road test of content. You want to keep it visible. You want to keep using it. If it’s not working, you actually want to find a way to either reuse that content or represent it so that it gets better over time. That goes for two months plus. Nathan: Nice. So Heidi, one of the things that you mentioned first phase ignite, first three days. I think that’s got to be one of the most critical phases of making sure that people are seeing that content. Let’s talk a little bit about that. Talk me through ignite and what you do to make your content catch fire. Heidi: The biggest thing behind the ignite phase in my opinion is building your network. It’s kind of like you can light a match but your match by itself is going to go out. You actually need to have set up your fire in a way that you’re going to put the timber and it’s going to catch on fire. The equivalent of doing that when you get to distribution is building a network. That means being active. It’s not just looking for those influencers, but thinking about it holistically, not just your network but more broadly who are the influencers and people in your category that you want to follow. Think about the people across your organization where their interests are and where they’re going, as well as the people you’re actually connected to and that’s a building phase. It’s not only out of people perspective but you also need to do that when you’re dealing with what I call the bigger pieces of content. Maybe your annual research, it could be your quarterly content, or it could be your crowd pleaser content where you’re trying to attract new people in. Those need a bigger push, but you can’t just show up and do a flyby on community platform, you’ve got to be part of a community. Whether it’s a Facebook community, LinkedIn community. It can be something like a growth hacking or more specialized format. Once you’ve got that content, there’s really three phases to that that you’re going to do. The heart of it is actually old fashioned digital marketing, it’s the email I think that really drives that. I think that gives you what I call an email super power. There’s three phases that you’re going for. You’re going to reach out to anybody who’s helped you create that content or who you know might be interested in it. You want to work within your organization and I think this is one of the most underutilized forms of content distribution. It’s not just trying to get your fellow employees to show for you, but instead to approach it differently. You want to teach them how to participate, how to be active and get them to want to share it. Because on average as we were talking about before, if you assume the average person in your organization has–Dunbar number of relationships let’s say is 150, take away the 50 of their family, maybe there’s 50 of friends that won’t be interested in their work, but you still get another 50. There’s probably 100 to 150 that are loose connections that will have some reason to be interested in it, and because that connection is more likely to do something from it. That’s why I think that email is really great. One way to do this is to flip it from what most people think about instead of forcing people. Bring people in your organization in so they can do that. Even if you have 10 people in your organization, 10 times 50. It’s not huge numbers, that helps get you started. The last one is to mail your email list and make sure that—what I’ve found with my own email list is that I’ve started remailing it three days later and it really improves the open rates. Once you’re getting started, of course you’ve got to go floors, social media. You want to go for the major ones for content distribution which are Facebook, Twitter, LinkedIn, and Pinterest. These are the ones where you want to make sure that you have visibility on an ongoing basis. If you’ve involved a lot of people, especially on that first day out, you send your email out, you get people involved. You want to spend time participating with them. Do not assume they’re going to see it. Call them out on social media but also send them an email. If you’re going for a bigger piece, this is where you might want to do a blogger outreach PR and that’s where you spend the money to advertise and support it. Nathan: I really like that. The idea of community and specifically that idea of involving the creators are just like really trying to think about how you are involving people who will be interested, making sure that their experience is great with it. It makes a ton of sense to me, Heidi. let’s just say ignite is done, we’re three days into this and we want to make sure that this piece that we spend so much time creating is still getting some traction. Talk to me about phase two which is fuel. Heidi: Okay. So phase two is really the part that’s making it work. Think about this as like gasoline or making sure you’re eating properly. I think CoSchedule does one of the better plans for making sure that you batch and schedule your social media shares. It doesn’t have to be just CoSchedule, you can use any number of other ones. It can be Agorapulse, it could be Hootsuite, it can be Buffer. But the key here is that while you’re developing your content, you don’t want to sound like you’re saying the same thing over and over again because people aren’t going to hear you. You want to change your present, the key to win for the long term is you can do it a lot upfront, so you’ve got your first three to seven days can be intense in how you do it. I know CoSchedule has a great set of how to do that. It also helps if you’ve got that great crowd pleaser content where you’ve brought a lot of people in. Shane Barker does this, or Aaron Orendorff does it, Nadya Khoja, and the key here is to make your content, the sharing of that content really great. Aaron Orendorff has done it with LinkedIn. He used LinkedIn, added a personal video to LinkedIn and he got 22,000 plus views for sharing an article he updated. There’s a great reference, Andy Crestodina of Orbit Media, shows you how to make a short video because that’s where people get the attention. The key you have to think about even though we’re talking about content, we’re talking about digital marketing, digital platforms, but you have to remember and think holistically as a marketer, you don’t want to have your promotions look like wallpaper, meaning that no one sees that. It’s like your mother saying the same thing to you over and over again, that’s what you have to start looking and having different visuals and changing it. Also during this first month, one of the things to do to really help strengthen this is not just so you’ve got to go beyond social media, you want to build in especially if you’ve got a big post, you want to build on those non text formats. So that’s video, it’s audio, it’s webinars and you can do what I’m doing here, having a guest podcast, you can be on somebody’s video. But the key here is to extend it, because a large part of the world is not text first. That’s why videos remains white hot and this is not new to 2019. Another one is audio. The example I used at content marketing world was MPR which is a public radio station, but they get you much further just like this podcast. People who are walking around, they get to multitask at the same time. Then there are webinars, Steve Dotto does a great job of this at Dotto Tech. While you’re at it, you want to think about the idea here of making your fueling part goes longer, is to integrate your content distribution during your content planning and your content creation phase. One is that you can figure out where your content goes that coincides with other events, other Twitter chats so that your content can then come to the floor so you can bring in other people within your organization where it may be important for conferences that are for some of the more technical people. The other things to consider are, you can use micro content and actually continue keeping it growing. Twitter expert, Michelle Escobar, does a great job of this. She takes people from her Twitter chat and brings them online to a Facebook live. She just takes them from one platform to another. This is a great way of thinking about how you change people’s expectations. In today’s world in 2019, you’ve got mature markets. It’s not just content is mature, digital media is mature, search is mature, social media is mature, all media is mature. In order to get those, you don’t have a chance for those great pops of free traffic. You’ve got to figure out and plan it. You’ve got to plan and test. That’s why I’m a big proponent of testing and tracking to get those incremental 10% improvements. During that first month for your bigger content, you should be supporting the initial ignite phase, but you should also think about how you can grow that and continue advertising over time. You have to be careful because there’s a lot of data that’s come out around the beginning of the year that shows that 60% or less of the market is human of digital traffic. Meaning that two out of five people you reach are not human. There are other ways of thinking about that. That’s why you want to go address what audiences and people you reach through email, you can use advertising. But if you have a small business, think about how you can get creative. Who can you do a share with? Can you do a guest post someplace else which I really think is more of your later part. But can you cross promote or get somebody else to talk about your article or your big piece of content in one of their newsletters, or some other format? Eric: If you’re like me, your head’s probably spinning. There’s just so much to absorb but it’s still fantastic. Heidi, you’re sharing so many good and interesting insights to look around, distributing your content. Hopefully you’re enjoying the conversation. A quick pause because I have a favor to ask as I always do, I would love it if you would give us a review. If you love the Actionable Marketing Podcast, go out to iTunes, write a review, give us a rating, take a screenshot of that before you submit it. Send it to me at podcast@coschedule.com and I will hook you up with a really cool CoSchedule swag pack to say thank you for your time and for being a listener. Again, that’s podcast@coschedule.com. That’s all I’ve got, let’s jump back into our conversation with Heidi. Nathan: You said something specifically as plan for this while you’re creating that content. I think that’s really important. I see this a lot where marketers will ship something and it’s this beautiful really well done piece and they just kind of wait for people to find it. Planning the distribution into your content creation makes so much sense and something that I want to pick on because I think this leads right into phase three is keeping that content visible. You used the word like spreading Nutella which I love. Heidi: Yeah, let’s have a Nutella party. Nathan: So let’s move into that. I think this is a great transition. Tell me about spread. We’ve ignited, we’re fueled up. How are we spreading this? Heidi: Spreading, the key here to spreading and this is the part that is not totally, I mean if you look at this from steps from the bottom of the page across to the top, each step gets bigger and bigger over time. When you’re talking about spread, the key here is that your content gets road tested. That means that you know what’s working and what’s not. Not all of your content, this process I’m talking about can be used for blog posts or your regular blog post. You’ve got all different sizes. There’s the three bears of content marketing. There’s your mega content or your annual and quarterly content. There’s the mama bear which is kind of like what I call a crowd pleaser which you want to do once a month. You need to do something to keep bringing new people in because by virtue of having an audience, you’re going to have turns of people come and go. They might just come because they want that one article from you. And lastly, there’s the baby bears. Those are the small posts you put on Facebook, or Instagram, or your blog. The key to spreading, and that goes back, I think that planning is underutilized when planning distribution, because content distribution requires content creation resources. It needs the people who create it as well as creating presentation so that the distribution doesn’t become like wallpaper. So there’s a couple of things that you can do and some of them are easy. For example, make sure you’re thinking about content audit. Well, if you know that you’ve got a great content—once you’ve started getting into a phase, let’s say that you’re doing some form of researching and you update it on an annual basis. Let me tell you, you do not need complicated data to do this. Almost anybody who’s listening to this, you take your top 10 or your top 25 articles, when it is something interesting to them, you know that that’s one of your biggest pieces of content. You want to make sure that you’re keeping it up to date that, it’s getting traffic, it’s getting backlinks and they’re getting conversions out of it. It has to work on all of those phases. Buffer does a great example of it. I think it’s for their millionth article. So they say, “Here’s how to do it,” in some of their tools and they update it regularly. You can get a second hit out of this. Here’s the cool part, I don’t always promote other people’s site but Buffer managed to not just take their traffic overall this is an article that was getting 300 plus page views by improving it and they not only got two more spikes from when it first went out and when they sent their email, but it then more than doubled it to over 700 page views. Once you know that as I said, you wanted to work for getting people to your site, you want to get backlinks and you need to make sure it works for conversions. Which brings me to the next part as part of it, once it’s road tested, you want to think about adding content upgrades. The key here is to get it to convert. There’s a hierarchy in how you get people to convert. But the first thing you want them to do and this is not just Heidi Cohen, Joe Polizzi talked about this all the time. He said his one indicator was email and I talk about addressable audience, that’s similar. A great example of this is Yale Appliances. They at least were market shared in client and they sell all kinds of home appliances. They’re generally consumer, but they’re big enough appliances that they’re considered purchases. They do their upgrades. Let’s say, “This is the best dishwashers for 2018,” that in there, they know you’re looking for dishwasher. You’re there and you’re not looking for a refrigerator, you’re not looking for a dryer, do not collect $200. But if they offer you an upgrade where you can figure out how to assess your needs for dishwashers, guess what? They don’t have to ask you, they already know because you got that content of what you’re looking for and they know how to follow up immediately. This is a win. Content upgrades is a Brian Dean idea. Everybody should be using that and that tailors it, that means you get your thought good what I would call connect to continue giving them an offer and you’re getting data at the same time, that takes planning and some of it is learning. You can do this for each of your product lines and each of those top 10 to top 25 pages on your site. They’re probably not going to change that much over time based on my experience on my own, not only with my own website but other clients and other things I’ve been doing. Big one here is how you take that content and transform it. It’s not just keeping it regular in that form of updating it, so you want to make sure it’s updated on a regular basis and you know which pieces of content need to be updated. If you have let’s say the top X tools or the top X whatever, you know that to get more mileage out of that, the article is not going to go down. To keep it good, you’re going to have to maybe increase the number of tools, you’re going to have to augment it and update it, why not just time when you’re going to do it. Put it in your calendar, you do not have to think about it. Again, no pass and go here. There’s other ways that you can expand your content and I think one of the greatest ones is you’ve got to start thinking more holistically in that turkey, the thanksgiving turkey and leftovers and that’s a little bit hard for me since my mother never had leftovers. We’re not a leftover household. But you want to think about how do you make it into something new and wonderful. What is there that you can look totally new. Here’s one of the areas I think best example, New York Public Library, they have Insta novels, they got people to read. Their digital vision is totally amazing. In August, they started. They rolled out with Alice in Wonderland which the original copy has pitched, but here it’s interactive and things happen throughout the story and they’ve gotten like for each of their novels that they’ve released since then, they get tens to hundreds of thousands of people reading it. What are they doing? It’s physically located in New York, it’s at 42nd Street and Fifth Avenue, a major building. But everybody in the world can now read these English novels. Plan it and you might not be able to do Insta novels. Think about how else you can make some visual content out of it. If you’re taking visual content, my big tip here is to make sure you include the link, the URL to your original content because if your images are taken out of context, your logo by itself will get you some recognition. But you want to get the traffic back, put it in a place where people have to include it when they cut out your chart or your whatever. Next, guest post. In other words, get your content elsewhere. It can be columns, you can have a round up guest post, you can use net native advertising. Those are getting harder and harder to come by. With that said, you’ve got to think outside of the box, I’d say try and find out how you can be an expert, how you can help other people out. A great example of how to get people involved and make a splash, Aaron Orendorff and Nadya Khoja at the I think it’s the 2016 Content Marketing World wrote an article about How to Get to Meet Everybody at an Event. They got almost everybody who was speaking to participate in this content. It was amazing. It got Aaron a slot in 2017. Also, think more broadly. Take your content live. The best example of this is Lee Odden and his team. 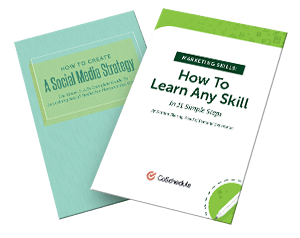 They actually partnered with Content Marketing World to create content ebooks. They break them out and they just show you a great way of not just—so it’s not just that they create this massive content associated with conferences, but they also use that opportunity once they’re speaking to the speakers at Content Marketing World to create content for their own website. They have in depth interviews, they then break it out, they also do live blogging. As a matter of fact for anybody, you should be looking at the events and conferences that in any way touch your business, because they’re attention magnets. You’ve got real people paying attention if you take your content live. Start small, go local, do not underestimate the power of being known where your business is. Lastly, once you’ve got content, it’s not only about taking big and going small, you can take small and go big. My favorite example of this is Gini Dietrich. She has a 30-day communications challenge. It’s at the beginning of the year. It’s going on now. Today was her 15th day. Not only does she reused this and amplified it, she’s added and created a book that she charges people, I think this year’s fee is $25. You get a discount for BuzzSumo. The part about this too for the spread part, is to keep that content going. Let’s take a step back, you’re thinking about making a big investment in your content whether it’s a blog post, it’s an ebook, it’s research, you’ve made a big investment. The key is that that’s the initial part. There’s two ways to think about it. One, a word in finance is called a sunk cost, you don’t have to worry about it anymore. Improving it costs less than starting from scratch. Not only do you not need new ideas, it’s proven, that’s why I call it road tested. Two, while you’re creating that, you can save time and resources by planning what else you need for your distribution. You know that you’re going to need certain things to distribute it further. Create those all at the same time. It takes less time, it’s not like you’ve got to start and stop. Get your lawyers–if you’re in a large organization–to help you so that’s all part of the same thing. Nathan: That’s perfect Heidi. I just want to say, thank you so much. I was taking notes this whole time. I love the planning your distribution plan while you’re creating your content. That just made so much sense to me, that connected. Transforming your content once you have it into all these different formats, I was thinking of multiple learning styles and then I wrote that down and you actually said it too. I mean, you got your audio people, you’ve got video, you’ve got visual. Overall, Heidi, I just want to say thanks again for helping our content catch fire. Heidi: No, and I think that that’s really what you have to do, Nathan. The one thing I would like to add is that here’s the thing, you do this distribution creation which kind of is a mouth full when you’re creating the original piece. You also get to optimize them all together. Optimization is key because it’s not just that one shot in the dark. Social media is often a short game where a search is a long game, influencers also is a longer game, and you got to make sure that everything you create has what I call connected content. Those are off-ramps. Whether you’re doing recommended readings which I found lately do really well on my email links. You’ve got recommended readings. You get people to sign up and you want them to come back. You want to make sure that you’re focusing them on taking that next action. Ultimately what you need to do is to compete in today’s low human participation, low trust world, is to be able to reach real people, and build relationships. People do business with people. You’ve got to think about just as you do your distribution when you’re creating it keep your costs down. Keeping that content going is way cheaper than creating it again. It’s like renovating your house is much cheaper than going out and building a new one. So anyhow, I want to thank you all. If there’s any questions that I can answer for you, please feel free to reach out to me. If you’d like to, I would be thrilled if you subscribed to my newsletter. You need to go on my website heidicohen.com, or you can even just do it as simply as subscribe@heidicohen.com. I appreciate this opportunity to help you with your marketing. If you have any further questions, please feel free to reach out. I’m a New Yorker, I sometimes talk a little fast. Nathan: No, this is perfect, Heidi. Thank you so much.